so i told myself that i’ll try and do a proper illustration for IF but having just gone through my sketchbook this one seems right. there are obvious reasons and there ones that probably aren’t so clear. and that also leads me to think this one is right. one minutes life drawing poses, along with other people drawing with me, at ocad. This certainly works for me for this prompt. 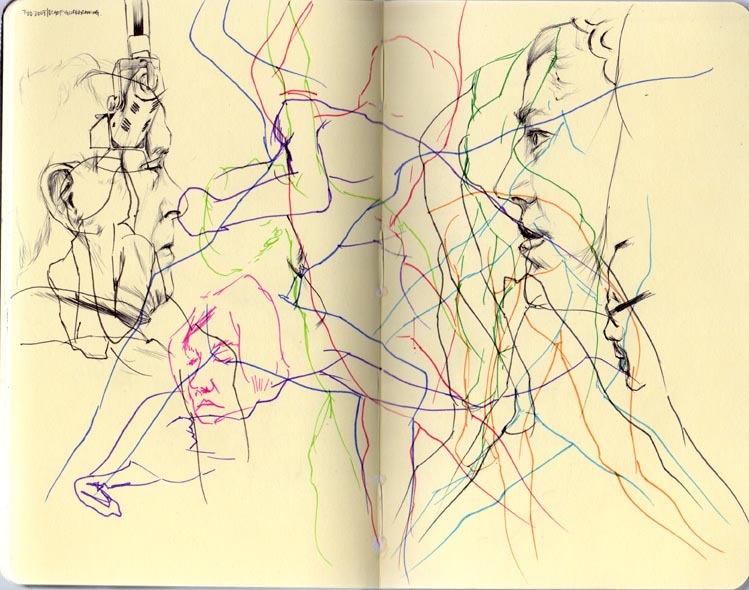 The lines have a wonderful expressive quality, and do give the impression of “tangling” these lives. I really like the sensitive drawings of the faces. One minute poses, huh? Love the seeming randomness of it!